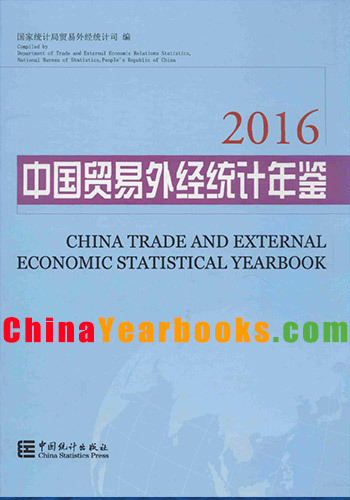 Ⅰ.2016 China Trade and External Economic Statistical Yearbook reflects the situation of China in the development of the domestic and foreign trade,the external economic transactions and the tourism synthetically.The yearbook covers the main data of the domestic trade,the foreign trade,the external economic transactions and the tourism of China in 2015,and embodies the data from national level and all the provinces,autonomous regions and municipalities.It also lists the time series relative data of important indicators by years. 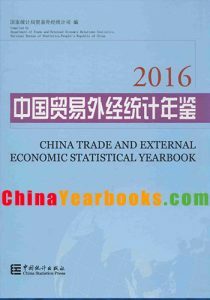 Ⅱ.The yearbook contains the following 9 chapters:1.Integration;2.Consumer Market;3.Wholsale and Retail Trades;4.Hotels and Catering Services;5.Balance of Payments;6.Foreign Trade;7.Foreign Capital;8.International Cooperation;9.Tourism.In addition,Explanatory Notes on Main Statistical Indicators are provided at the end of book. Ⅲ.The national data in the book do not include that of Hongkong Special Administrative Region,Macao Special Administrative Region and Taiwan Province. Ⅳ.The major sources of data except these in the domestic trade are the regular statistical reporting forms provided by sectors such as the Ministry of Public Security,the Ministry of Commerce,the General Administration of Customs,the State Administration of Industrial & Commerce,the General Administration of Travel and Tourism,the State Administration of Foreign Exchange.The book is edited by the Department of Trade and External Economic Relation Statistics of the National Bureau of Statistics.Since the functions of sectors mentioned above are different,the requirement,the scope,the calculating specification and the method of statistics are not in the same,and some of the figures may not be in conformity.Readers who want to use the data please consult the explanatory note. Ⅴ.The units of measurement used in this yearbook are internationally standard measurement units. Ⅵ.Notations used in the yearbook:(blank space) indicates that the figure is not large enough to be measured with the smallest unit in the table,or data are unknown or are not available;”#” indicates a major breakdown of the total;and “*” or “①” indicates footnotes at the end of the table. Ⅶ.The data belong to 2015 in the table of without year in the yearbook.